In order to get customers inside the doors of your department store you need to find a way to lure them inside. There are so many different department stores out there, meaning the competition is stiff and you’ll need to do more to get people through the door. Why should they choose you over the competitor? Make sure you shy them why. How can this be done? One way is to utilize SMS marketing and its effectiveness. SMS marketing is commonly called text message marketing. It uses mobile phone devices to communicate with customers and is beneficial for small and large businesses alike. SMS marketing can do multiple things for your department store, including provide customers with deals, promote sales and email marketing lists, send coupons and more. With 96% of the population carrying a cell phone these days you can certainly see why SMS marketing can be so beneficial to you. SMS messages reach the intended target within seconds of the message being sent. And, more than 97% success rates have been found with the marketing strategy. Most people who receive a text message will open and read it, and if the deal is sweet enough they’ll take you up on your offer. SMS marketing is simple and easy, and can be used to send so many different things to customers it is certainly beneficial to your department store. Not only can you increase customers with the help of SMS marketing you can also maximize your profits and help more people become aware of your brand. You can easily gain people for your marketing by offering a special incentive for their inclusion. This can be anything from a discount coupon to a free offer. Once you have them in the door keep them there by continuing to provide awesome information and messages. Tell the world what you are offering and ensure that you promote your marketing campaign with social networking, word of mouth and in any other way that you see possible. 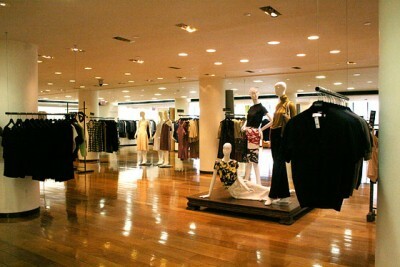 SMS marketing will greatly benefit your department store in more ways than one.